European art ranging from the 15th century to the present is represented in the Art Museum collections. Among the earliest works are the Old Masters with examples by German artists Albrecht Dürer and Lucas Cranach and Italian artist Giovanni Battista Piranesi. Flemish genre prints of the 16th and 17th century, works by such Baroque artists as Robert Nanteuil and Jacques Callot, and prints by Francisco Goya round out the early European collection. The Art Museum’s holdings in French works from the 19th and 20th centuries are remarkably comprehensive with works by Paul Gauguin, Paul Signac, and Marc Chagall. 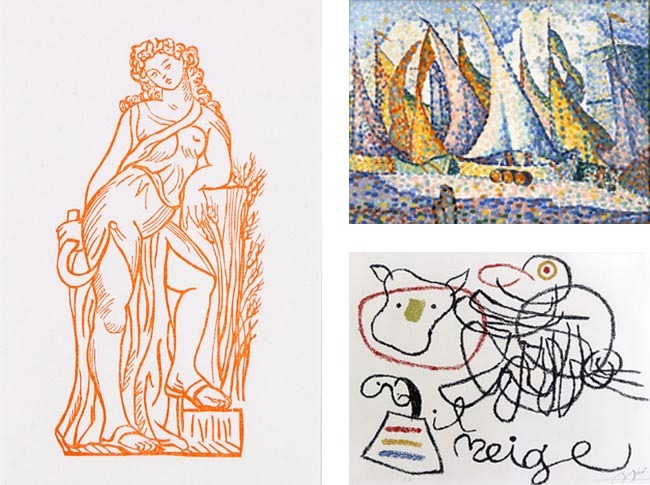 European modernists are represented by Auguste Rodin, Aristide Maillol, Henri Matisse and Pablo Picasso and include the Surrealists Joan Miró and Salvador Dalí.